Your Certificate of Completion is emailed to the address that you provided at registration. Print your Certificate in color, sign it, & protect it like you would a passport. Keep the original PDF on file and give your employer a signed color copy. Gold-foil parchment paper certificates are available at a cost of $35.00. Order HERE. Your Certificate will be sent to you via FedEx. 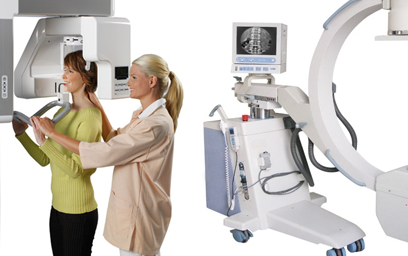 This course is State-recognized to allow you to legally operate x-ray machines. You just need a computer. Don't even think about trying it on a smartphone! Click the "Register Now" star. Select "Pay with Credit/Debit Card"
Within 24 hours your login info is emailed. Make sure your email address is correct. Type names in blank spaces below. It may take several hours for your enrollment to be completed, after which your login credentials are emailed to the email address provided in your secure checkout. No refunds can be made, but a credit for future certification may be issued under limited circumstances. the use of the course or x-ray law in general, please feel free to email Dr. Waters personally. After logging in, course registrants receive a dedicated phone number to use if the need for technical support arises. Copyright © 2019 Dr. Rick Waters. All Rights Reserved.